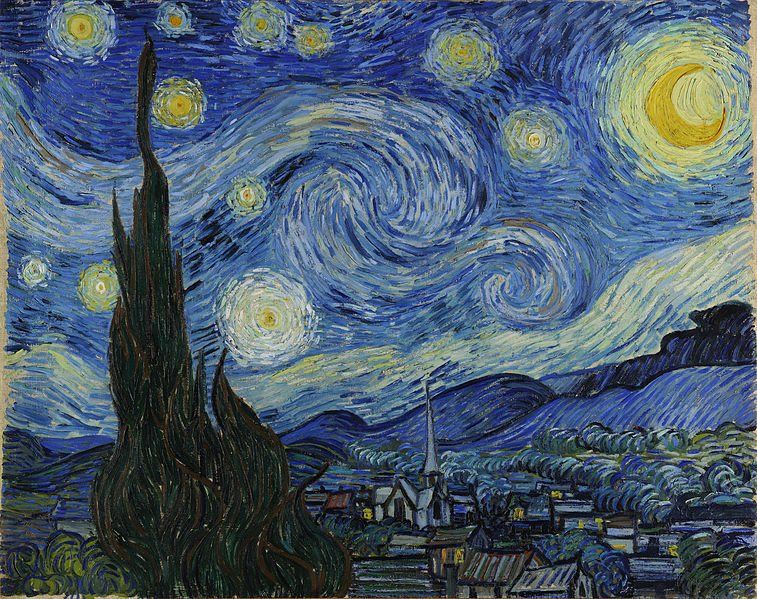 De sterrennacht (Starry Night) is a painting by the Dutch post-impressionist artist Vincent van Gogh. Painted in June 1889, it depicts the view outside of his sanitarium room window at Saint-Rémy-de-Provence (located in southern France) at night, although it was painted from memory during the day. The drawing Cypresses in Starry Night, a reed pen study executed by Van Gogh after the painting in 1889. In May 1889, Van Gogh decided to enter the asylum at Saint-Rémy, where he stayed for the next year. 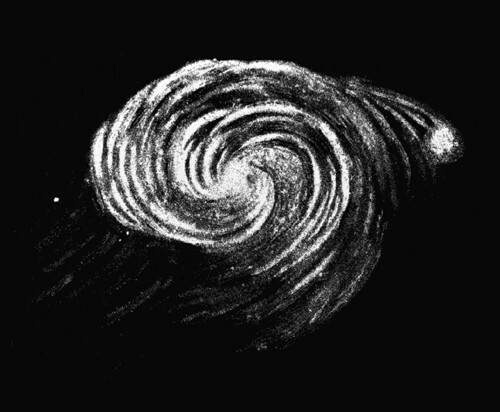 His time there was very productive, although interrupted by incapacitating nervous attacksInspired by the landscape surrounding the asylum, he painted Starry Night in June 1889. 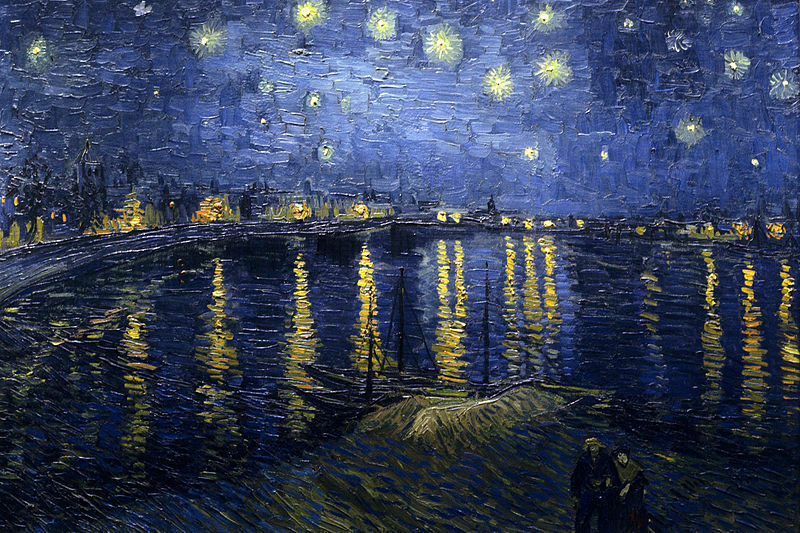 Unlike the earlier Starry Night Over the Rhone, the new night scene was painted in daylight, from memory. 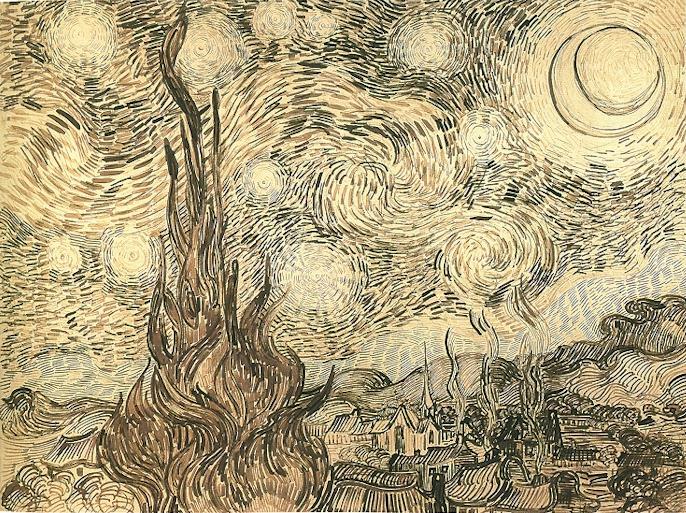 In mid-September 1889, following a heavy crisis which lasted from mid-July to the last days of August, he thought to include Starry Night in the next batch of works to be sent to his brother, Theo, in Paris. In order to reduce the shipping costs, he withheld three of the studies, including Starry Night. These three went to Paris with the shipment that followed. When Theo did not immediately report its arrival, Vincent inquired again and finally received Theo’s commentary on his recent work. The center part shows the village of Saint-Rémy under a swirling sky, in a view from the asylum towards north. The Alpilles far to the right fit to this view, but there is little rapport of the actual scene with the intermediary hills which seem to be derived from a different part of the surroundings, south of the asylum. The cypress tree to the left was added into the composition. Of note is the fact Van Gogh had already, during his time in Arles, re positioned Ursa Major from the north to the south in his painting Starry Night Over the Rhone. Recorded and released on the American Pie album in 1971, the single by American folk rock singer-songwriter Don McLean was a number-one U.S. hit for four weeks in 1972. The song is a recounting of “The Day the Music Died” — the 1959 plane crash that killed Buddy Holly, Ritchie Valens and The Big Bopper (Jiles Perry Richardson, Jr.)—and the aftermath. Don McLean wrote the song in Cold Spring, New York and Philadelphia, Pennsylvania.The song is well known for its cryptic lyrics that have long been the subject of curiosity and speculation. Although McLean dedicated the American Pie album to Buddy Holly, none of the musicians in the plane crash are identified by name in the song itself. When asked what “American Pie” meant, McLean replied, “It means I never have to work again.” Later, he more seriously stated, “You will find many interpretations of my lyrics but none of them by me…. Sorry to leave you all on your own like this but long ago I realized that songwriters should make their statements and move on, maintaining a dignified silence.” McLean has generally avoided responding to direct questions about the song lyrics, such as saying, “They’re beyond analysis. They’re poetry.”, except to acknowledge that he did first learn about Buddy Holly’s death while folding newspapers for his paper route on the morning of February 3, 1959, (the line “February made me shiver/with every paper I’d deliver”). American pop star Madonna released a cover version of the song in March 2000 to promote the soundtrack to her film The Next Best Thing (John Schlesinger, 2000). Her cover is much shorter than the original (it contains only the beginning of the first verse and all of the second and sixth verses) and was recorded as a dance-pop song. It was co-produced by Madonna and William Orbit, after Rupert Everett (Madonna’s co-star in The Next Best Thing) had convinced her to cover the song for the film’s soundtrack.